Kunitachi Arts and Sports Foundation presented Play Me, I’m Yours by Luke Jerram in Kunitachi, from 16-31 March 2018, as part of the Kunitachi Biennale and the 50th anniversary of the Kunitachi Municipality. 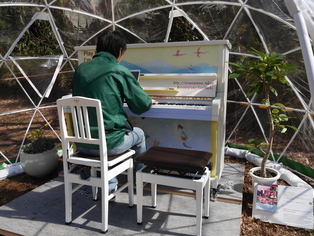 Ten Street Pianos, decorated by local artists, were located in parks, streets and other public spaces for anyone to play and enjoy, with around 60,000 people enjoying the pianos during the presentation. One piano still remains out to play in the city: the piano at Mussa 21 Fujimaidai Meitengai is still available. Moreover one at East side of Daigaku St. Greenbelt SOUTH and the other at South Gate of Hitotsubashi University were donated to Yagawa and Nishi Children’s Center for the children to play. 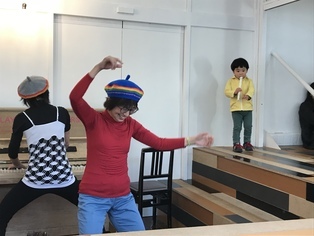 The rest of the pianos were donated locally, including Blue Ocean Cafe in central Tokyo, a new music bar that is due to open soon, and also to a family with children who are learning the piano. We could not have presented the project without the support of our sponsors, piano donors, piano hosts, volunteers, the artists that decorated the pianos, universities, piano technicians, piano movers, and our marketing and promotions team. Finally we’d like to thank the project founder Luke Jerram, and everyone involved with this project with this closing message. This website has been set up for you to post and share your films, photos and stories about the pianos. While documenting each piano’s journey, it connects the pianos and their neighborhoods across the city and acts as a legacy for the artwork. Choose a piano location to post and/or view films, photos, comments, and to find out who decorated it and what the opening hours are. 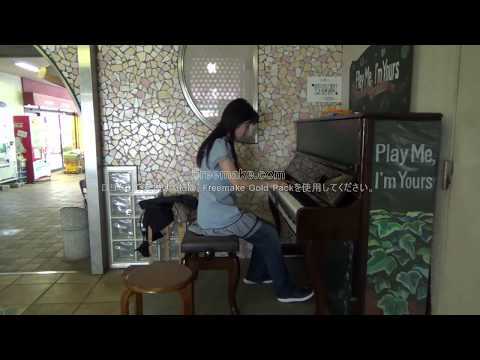 The hashtag for this project is #streetpianoskunitachi. 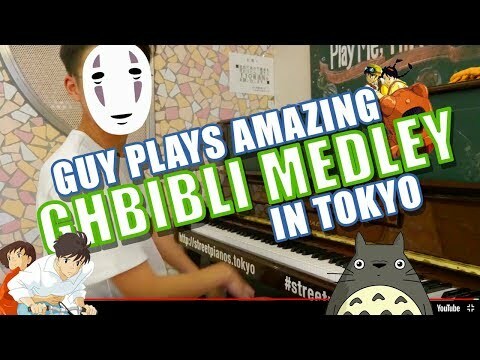 動画をこのウェブサイトに投稿するには、まずYou TubeかVimeoにアップロードします。 次にその動画のウェブアドレスや共有リンクを下欄にコピー/ペーストしてください。 参考までにチュートリアルの動画をご参照ください。 Watch this short video tutorial for more help.